Amanda Wade, a 20-year-old Delaware native, pictured capturing the essence of the fall season. As a child, Amanda possessed a passion for learning new things. With nursing always at the forefront of her present ushering her into the future, science was her main focus. She consistently asked the question “Why” in an effort to solve medical puzzles and perplexities, often intriguing her family and friends. Once Amanda reached her 11th birthday, her menstrual cycle began, causing intense pain that would last for a duration of 20 days out of every month by the time she turned 12. “I was starting to have cramps and since I was so young when I first got my period, I had no idea that it wasn’t normal because the doctors were telling me that it was normal. I was terrified because when you’re in the middle school, you’re just trying to figure out where to get pads and tampons [because of excessive bleeding]. Amanda began missing numerous days within the school year due to the amount of pain and bleeding that she was experiencing, which resulted in her mother hiring a home tutor to assist her in catching up to her friends. She attempted to convey her situation to her teachers and the school nurses, because having to excuse herself to use the restroom every 2 hours and focus through pain was gravely impacting her grades. This weighed heavily on her heart, especially while she was in middle school and entering high school — the future that Amanda had pictured for herself since she was little, began to fade from reality as she grew. As Amanda searches her memory, she pinpoints the moment when she realized that her life was not reflecting normalcy. Preparing to attend her 8th grade formal, this young girl began to notice the extent of her deterioration. She was in so much pain and discomfort, that she couldn’t experience the traditional “mother and daughter” shopping, pampering, and princess-like transformation for the dance. By 16, this high school sophomore had already seen 7 gynecologists, among other specialists, because simply standing upright was unachievable. It was incredibly frustrating for her to create “care packages” for herself to travel with containing emergency, sanitary napkins, ibuprofen, and heating pads that would burn her skin, in addition to telling her tale repeatedly to physicians who routinely stated, “Endometriosis isn’t even a real disease.” Amanda began to lose hope that someone could intervene, and magically turn the tables on her life circumstances. Amanda learned about Dr. McGuirk and RAD’s Endometriosis & Pelvic Pain Center from her employer and family friends in Pennsylvania. After battling infertility problems of their own, they encouraged Amanda to see someone who not only specialized in this disease but also in the preservation of fertility for her future. Dr. McGuirk greeted Amanda with a comforting hug and encouraging word, which led her to tears. All of the doubt, fear, and uncertainty melted away and reassured Amanda that she was finally in the right place at the right time. At the initial meeting, Dr. McGuirk gathered the information from this young woman’s testimony, in order to compose a treatment plan and pathway forward. This plan required this young woman to endure hormonal suppression prior to laparoscopic surgery. After following through with the suppression treatments and dietary adjustments, it was time for Amanda’s life-changing operation. While she was terrified of not only the procedure itself but the radical relief, she was ready to take her life back. 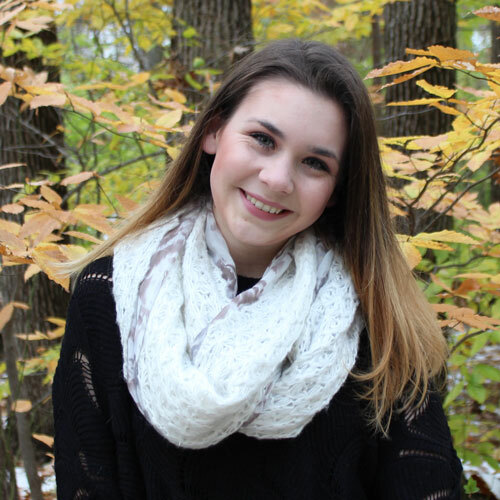 Since arriving on the other side of pain in addition to her teenage years, Amanda is focused on catching up on life’s positive moments, and making her childhood dream of becoming a nurse a reality by attending nursing school. She is determined to utilize her energetic personality and experience as a patient, to go the extra mile and ensure that her patients know they are heard, loved, and advocated for. Amanda believes that it is crucial as an endometriosis patient, to never give up because you are not alone. Finding Dr. McGuirk was incredibly impactful for Amanda. Not only did Dr. McGuirk restore her youthful body to her, but she restored the confidence in her sound mind — she was not crazy. The future is beautifully bright for Amanda, and “The End” is nowhere in sight. 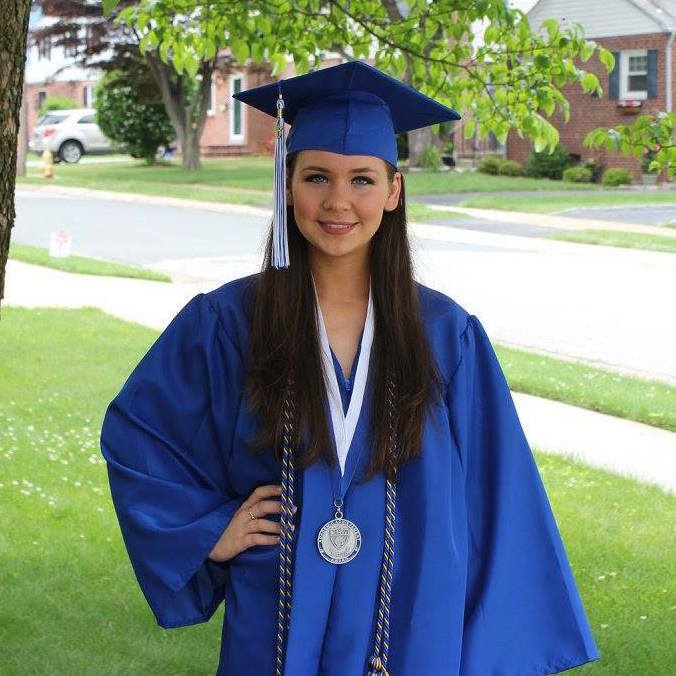 At her 2016 graduation from Brandywine High School, Amanda wore her Academic Achievement medal recognizing exemplary dedication to her studies, in addition to her National Honor Society cords. 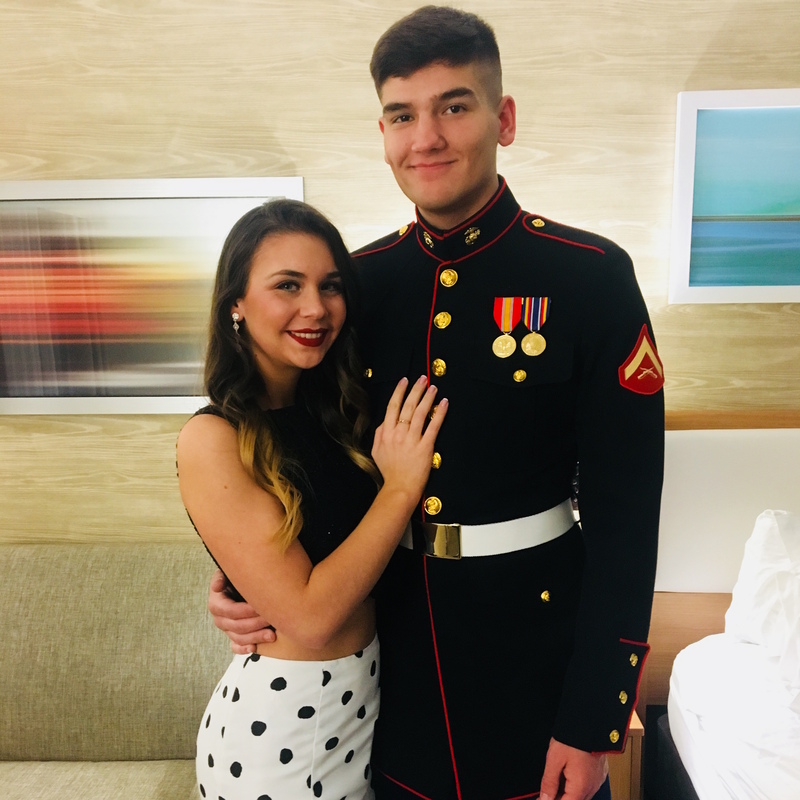 Pictured alongside of her lovingly supportive boyfriend, Alexander Gamble at the Marine Corps Ball in Greenville, North Carolina, Amanda treasures each moment before the strike of midnight. 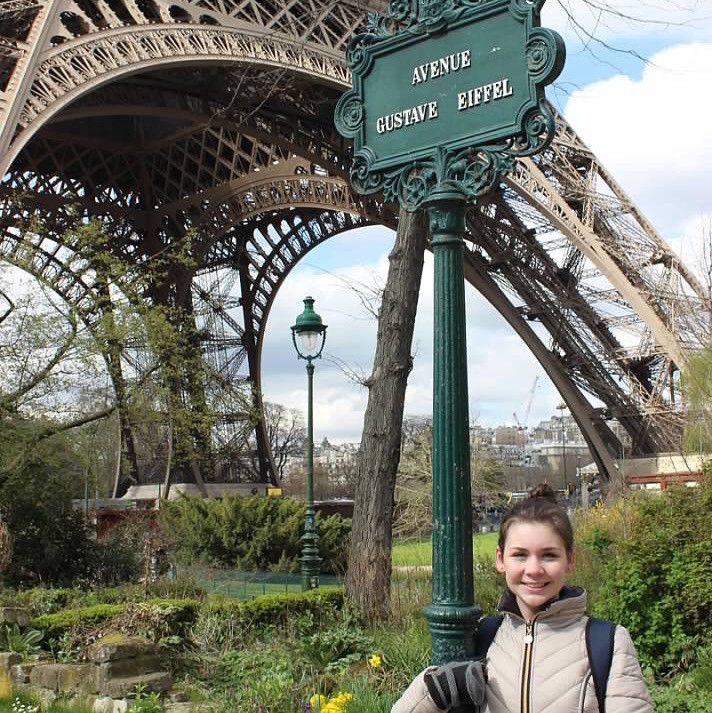 Amanda spent a brisk Easter Sunday in Paris, France under the Eiffel Tower, after riding a carousel and eating a Lemon Crepe with hot chocolate!